Meaningful reconciliation engages young people in learning about Canada’s history of colonization, thinking creatively about the future, and providing them with opportunities to make a difference. Canada is trying to come to grips with a difficult chapter in its past. The schools were mostly run by the Catholic, Anglican and United churches. The government believed that indigenous people should be taught to become more like “Canadians”—primarily, white Christians at the time. Some very bad things happened to the more than 150,000 children who were put into residential schools. Not only were they taken from their families, but they weren’t allowed to speak their own language or practise their own faith. They were often also physically abused or exposed to diseases without proper medical care. The first residential school was opened in 1840 and the last one closed as recently as 1996. In 2008, the Canadian government apologized for these actions, but that was not enough. They also put in place a “Truth and Reconciliation Commission” to study the history and gather information from people who had been put in residential schools. The idea is that by listening and talking about the damage done, we can begin to learn about the harm that befell the people who were placed in residential schools—and then, it is hoped, the present generations can come to some kind of an understanding. The Commission produced a report with 94 recommendations for the government. In this case, that means things the government should do differently. Recently, more than 10,000 aboriginal people gathered in Ottawa to mark the final stage of the Truth and Reconciliation Commission. Now, Canadians will wait to see whether the government will follow up on the recommendations made in the report. Four Directions Teaching is a visually stunning audio narrated resource for learning about indigenous knowledge and philosophy from five diverse First Nations in Canada. Kids Stop: Find activities, games and stories for youth and educators about Indigenous peoples’ culture, history and languages at this site supported by the federal government’s Indigenous and Northern Affairs department. Visit a Friendship Centre: There are over 100 Friendship Centres across Canada and eight provincial and territorial associations of Friendship Centres. Friendship Centres provide culturally appropriate services for Indigenous people living in urban centres and have become a place for Indigenous and non-Indigenous people to come together, to share traditions and to learn from one another. Peel Aboriginal Network Indigenous Friendship Centre is situated in the traditional territory of the Mississaugas of the New Credit. Peel Aboriginal Network (PAN) was established in 2003 by a group of local Aboriginal residents. In 2009 PAN opened as a Cultural Center to provide a social setting to foster cultural awareness and education, and provide services and support to the Aboriginal community in the Region of Peel. 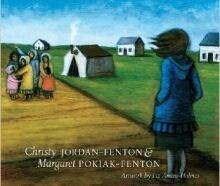 Shi-shi-etko is a young girl who has four days before she leaves home for residential school. Her family has many teachings to share with her, about her culture and the land. 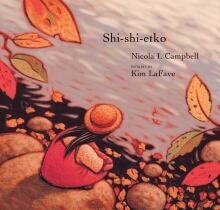 Campbell’s story — and illustrations by Kim LaFave — follow Shi-shi-etko as she absorbs the world around her and collects a ‘bag of memories’ at the instruction of her grandmother. But she doesn’t take the memories with her. Instead she buries them under a tree, for safekeeping while she is gone. 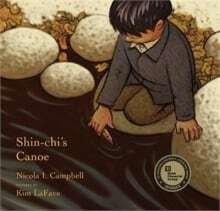 This award-winning book tells the story of six-year-old Shin-chi as he heads to residential school for the first time with his older sister. It is the sequel to Campbell’s Shi-shi-etko. As the children are driven away in the back of a cattle truck, Shin-chi’s sister tells him all the things they must remember about home. Shin-chi knows it will be a long time before he sees his family, not until the sockeye salmon return. Shin-chi endures a long year of hard work, hunger and loneliness before returning home to his family with his sister. This trio of stories about a 10-year-old girl named Agatha is based on the childhood experiences of beloved Inuit author Michael Kusugak. The book begins with a tale of Agatha ‘saving’ her community from a monstrous flying object. The book also includes the story of Agatha being sent away for school, “The nuns did not make very good mothers and the priests, who were called fathers, did not make very good fathers,” Kusugak writes. An elderly Kookum (grandmother) recounts her experiences at residential school – a time that changed her forever. The book has been described as running parallel to the story of Dorothy in The Wizard of Oz. “Her tornado had arrived. It rushed up and slammed to a halt just past the wonder world she had created,” writes Eyvindson. 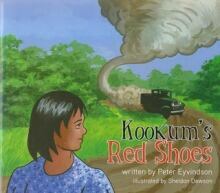 Throughout the story Kookum reveals what was lost in her life, and how goodness persisted. Margaret, an 8-year-old Inuvialuit girl, wants to learn how to read so badly that she’s willing to leave home for residential school to make it happen. When she gets there a mean-spirited nun known as the Raven is intent on making Margaret’s time at school difficult. But Margaret refuses to be defeated. In this sequel to Fatty Legs, Margaret Pokiak is now 10 years old and can hardly wait to return home from residential school. But her homecoming is not what she hopes for. “Not my girl,” is what her mother says when she arrives. The story follows Margaret as she moves through feelings of rejection and tries to reconnect with her family, language and culture. This collection of fictional stories of five children sent to residential school is based on real life experiences recounted by members of the Tsartlip First Nation in B.C. The children cope as best they can at Kuper Island Residential School but it’s a far cry from the life they’re used to. The book is described as sometimes funny, sometimes sad. Cree author Larry Loyie writes about his last summer with his family before going to residential school, in Northern Alberta in 1944. Lawrence learns things like how to care for a baby owl, and how to gather medicinal plants with his Kokom. Loyie’s story highlights how his education at home was disrupted by the residential school system. Written in the form of a diary, My Name is Seepeetza recounts the story of a young girl taken from home to attend the Kamloops Indian Residential School in the 1950s. Sterling’s award-winning book has been described as an honest, inside look at the residential school experience – one that highlights the resilience of a child in a place governed by strict nuns, and arbitrary rules. We Feel Good Out Here offers a personal account of Julie-Ann André’s family story that includes a discussion about her residential school experience. She also shares the story of her land, Khaii luk, the place of winter fish. She writes in the book, “The land has a story to tell, if you know how to listen. When I travel, the land tells me where my ancestors have been. It tells me where the animals have come and gone, and it tells me what the weather may be like tomorrow.” André is Gwichya Gwich’in from Tsiigehtchic, NWT.